Best human hair toppers to combat with hair loss? 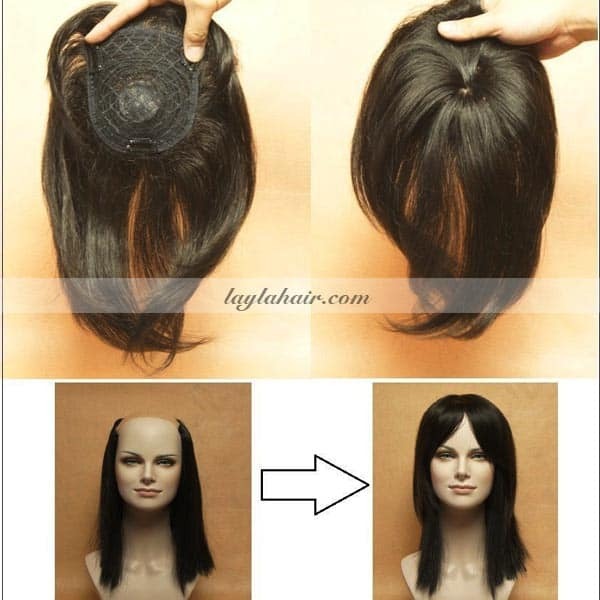 Home	→ Blog → LACE FRONTAL WIGS → Best human hair toppers to combat with hair loss? It is possible that you or your friends around you have been experiencing the disappointment and distress of baldness and alopecia. It is estimated that today there is approximately 30 million male and about 20 million female. In the United State alone, are dealing with one of the many types of hair loss, which is undoubtedly affecting and altering their lives. Influencing their feelings and the personal appearance they see themselves. 1 Best human hair toppers to combat with hair loss? 2 So what is a toupee? While there are a lot of bald men and women looking into the mirror every day. And watching such an upsetting physical change occur. It is no wonder that the small number of them will find out a practical solution in hopes of making a positive change. And regaining the self-confidence in their physical appearance. 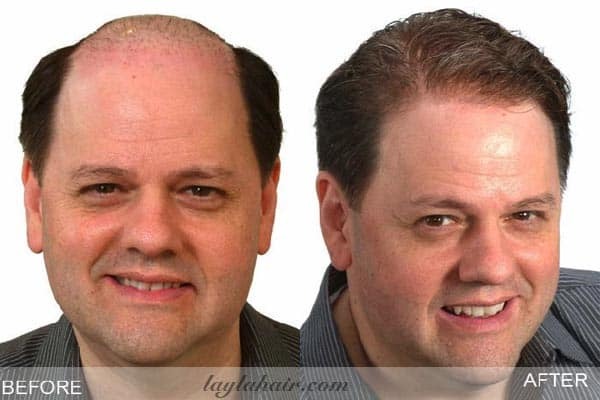 Wearing hair topper for thinning crown and real hair toupee might be the best measure of who suffering from hair loss. 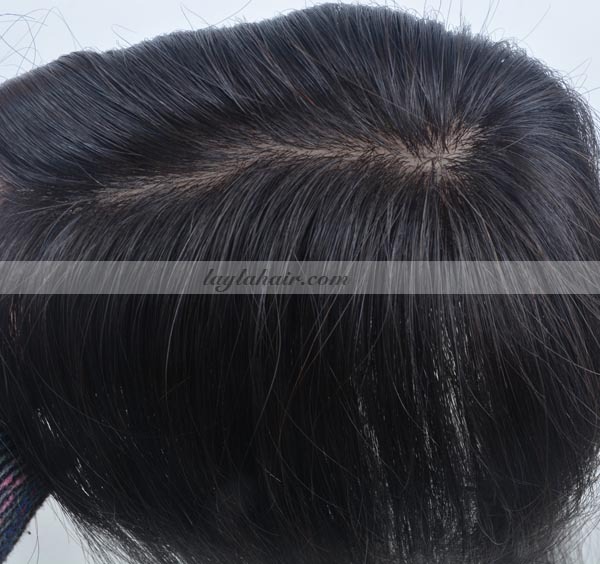 And Layla Hair wholesale hair bundle is more than a little proud of being one of the most reputable wholesale hair vendors in Vietnam providing you with high-quality Human hair Toppers for thinning hair and toupee for men to combat with hair loss. In the old day, a majority of people would take hair transplant into account. Because the surgical result looks and feels quite natural. However, hair transplant had a number of disadvantages. Firstly, it was notoriously expensive and just superstars could afford it. Secondly, bald men could be at high risk of surgical infection. And an even sudden loss of the newly transplanted hair, which is called ‘shock loss’. Therefore, a hair transplant is becoming less and less common. And now people lean towards wearing best hair topper for thinning hair and toupee glue as the best way to combat the hair loss. So what is a toupee? Compared with surgical hair-loss treatment, human hair topper wigs, for the most important point, could be not only unharmful, cheap at price but also durable and fashionable. Fully understanding this need, Layla Hair wholesale human hair always attempts to improve our hair topper and men toupee hair pieces both in quality and styles. Layla Hair latest topper and clip in hair topper extensions could assure every wearer to have a full but natural-looking head of hair. In addition, hidden crown hair topper, men’s clip in hair extensions and hair toupee glue. It allow you to remove it once you don’t like any longer for whatever reasons. More importantly, all human hair wiglet topper and hair toupees for men from Layla Hair wholesale virgin hair vendor are made from 100% Remy raw Vietnamese Hair. Hence, you can easily curl, perm, strengthen, color and blench them as you want. It likes your bio hair and lasts forever if you properly take care of it a little bit with mild shampoo and conditioner. Unlike non-Remy hair, Vietnamese Remy Hair collected by Layla Hair wholesale hair extension is super long, strong, silky, tangle-free and no split-end. This is mainly because Layla Hair wholesale Vietnamese hair extensions always try to collect bundles of hair from a single healthy donor to ensure all the cuticles are in the same direction. 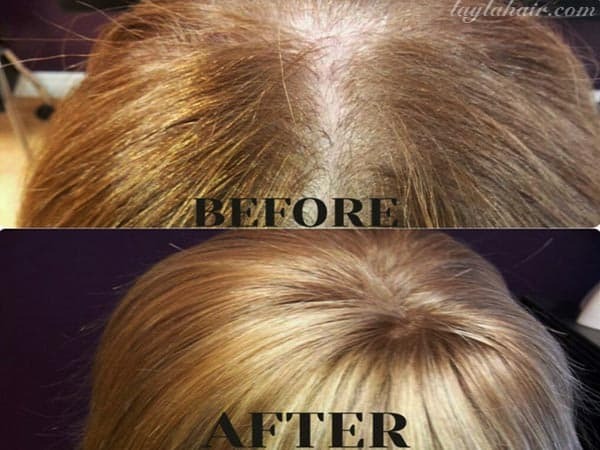 Layla Hair wholesale hair extension utilizes 3 types of base materials namely lace, thin skin, and monofilament to manufacture the best human hair wiglet topper and toupee hair. And as an examination of experts from Layla Hair Company, each kind of base has its own pros and cons. For instance, the benefit of lace topper that it is undetectable, breathable and easy to part. But it is likely to be torn and get damaged, especially at the edge of the base. To improve it, Layla Hair wholesale virgin hair distributor adds a thin skin strip to make the topper hairpiece more durable and long-lasting without too much care. This kind of human hair toupee is called PU toupee. However, the PU toupee has also a mere flaw. It lacks the comfort for your scalp and if you live in a hot weather. And it does tons of work under sunlight. You head might sweat and can breathe. Layla Hair wholesale hair highly recommends you to try our monofilament hair topper since it possesses the strength of bot lace front topper and PU topper. 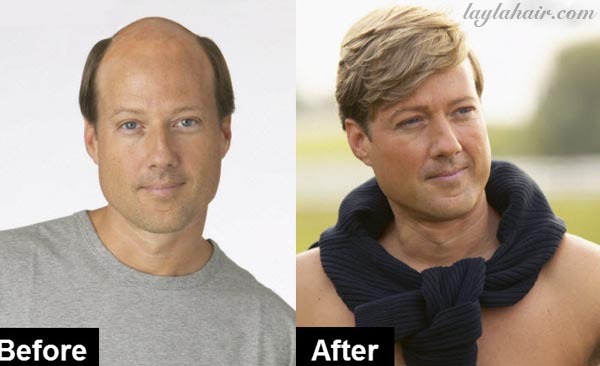 Given those advantages over conventional surgical hair transplant, it is no surprise that hair topper and toupee hair, such as a Layla Hair clip on hair topper and toupee glue, are increasing in popularity. To opt for best human hair toupee and topper to combat with hair loss, please do the following instructions. Firstly, be aware of your face shapes. There are many types of face shapes such as an oval shape face, round shape face, rectangular shape face, heart shape face, triangle shape face, diamond shape face, square shape face. Choose the lace topper or clip in human hair topper with suitable length, color. And hairstyles to fit your face and skin color. After that, let take the base materials of hair toupee into your consideration. 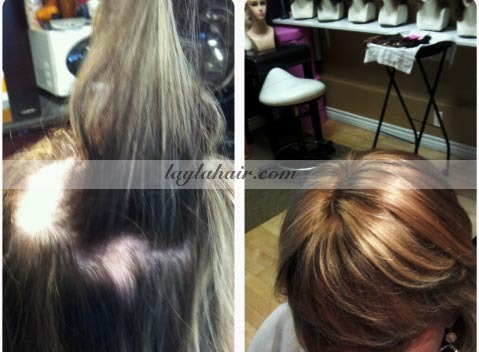 Basically, most of Layla Hair customers like monofilament hair topper with bangs as its undetectable appearance. Finally, choosing the color of the new hair topper for thinning hair. And partial wig human hair that matches the color of your bio hair. How to do this, it is advisable to send Layla Hair a sample from your growing hair. Or using a color ring to choose the colors that best match your own hair. Last but not least, if you want to alter your hairstyles day by day without damaging your bio hair. Let the correct level of hair wave or curl of Vietnamese human hair topper and toupee. If you have lots of hair loss and cannot use the clip in wavy human hair topper. You should try the curly glue on toupee or Vietnamese hairpiece tape. If you need any advice to opt for best human hair toupee and topper to combat with hair loss. Please contact Layla Hair customer services right now!